There’s more to Walt Disney World than just the parks. The resort hotels are a world of their own. Many guests don’t take full advantage of the perks and opportunities provided by the resort hotels. 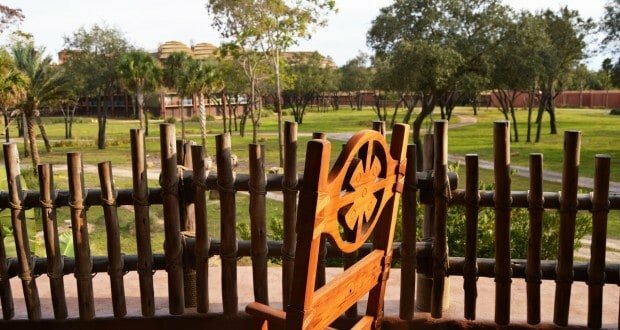 Here are seven things that Disney insiders know about the on property hotels. If you stay on property, your hotel is much closer to the parks, making breaktime (i.e. nap time) much more convenient. Crowd levels and temperatures rise during the afternoon, and your blood pressure and frustration levels are likely to rise too! Insiders don’t force the family into having fun. Go back to the hotel, draw the shades, and take a nap. When you wake up, the family will be rested, and ready to return to the parks. Disney hotels have some amazing pools! Just think about Storm-Along-Bay at Beach Club, or the underwater speakers at Art of Animation. Make sure you take time in your vacation to enjoy the pool. A mid-day break during the hottest part of the day is the perfect time to take a swim. Plus, then you’ll feel refreshed to tour the park after dinner. While you’re at it, let the kids burn off some energy on the playground. If you’re flying into Orlando International Airport, and staying in one of Disney’s hotels, then you really ought to take advantage of Disney’s Magical Express. It’s free. Simply sign up online or via phone when you make your other travel arrangements. Buses pick travelers up at the airport, return them at the end of their stay, and handle all the checked luggage. While this is a free service, don’t forget to tip your driver. Every day, at least one park either opens early or stays open late, just for on property hotel guests. So often, guests don’t take advantage of Extra Magic Hours. That’s so silly. These hours are for you, dear resort guests. It is your time. Use it well. Walt Disney World’s resorts have many additional activities. Wilderness Resort has tons to do: canoe or kayak rental, archery lessons, and pony rides, just to name a few. The Contemporary Resort offers parasailing, wake boarding, and water skiing. Most resorts have arcades. Many Deluxe hotels have fitness centers, and there’s even the Senses Spa at Saratoga Springs and Grand Floridian resorts! Disney’s resort hotels have some incredible restaurants! Just think about Jiko, Victoria and Albert’s, or California Grill. Of course, not all of the restaurants are so fancy. You can enjoy a character meal (Chef Mickey’s, Cape May Cafe etc), sing along to a hoe-down (Hoop-Dee-Doo Musical Revue), or taste home-cooked food and desserts (Whispering Canyon). Take time to enjoy a meal at your hotel. Or, enjoy a meal at a different hotel. You don’t need a room there to have dinner. After your meal, be sure to explore the resort grounds: the hotels are beautiful! This is a controversial topic among Walt Disney World insiders. Lots of folks love the mug and use it to their advantage. But some see it as a marketing ploy. I happen to fall in the first group. I think that when used properly, the refillable mugs can save guests a lot of money. It will depend on how long you’re staying, and your own consumption habits. If purchasing the mug separately (it comes with all the the Dining Plans) it’s best when used on a longer vacation because you’ll get more use out of your flat-price mug. The mugs don’t work in the park (bummer) but they do work at any resort. If you’re someone who likes to visit other resorts (I do during the holidays to see the decorations) then you can refill your mug there. Also, if you’re the type of person who needs three cups of coffee to get moving in the morning, then the mug will be your new best friend when you top off your umpteenth steaming cup. If you have a short vacation, and don’t refill the mug a couple times a day, then you might be better off purchasing drinks a la carte. How do you spend your time in Disney’s resort hotels? Do you have a family tradition or favorite pastime?